Originally posted: July 23, 2018 . Last modified: January 25, 2019 . 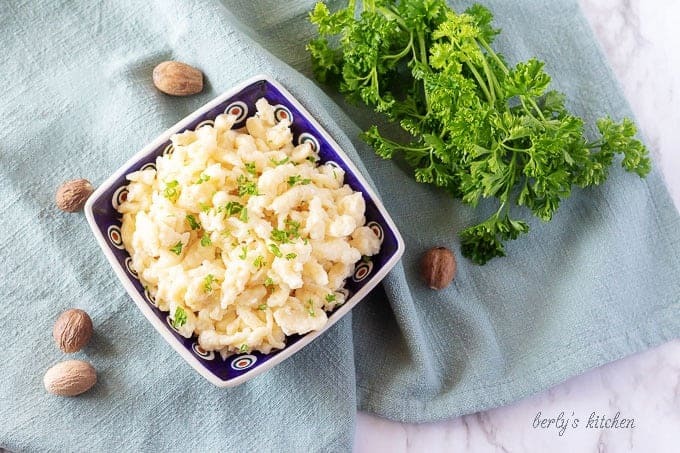 A homemade spaetzle recipe based on a Grandmother’s recipe that was handed down through two generations of children. It’s perfect for Chicken Paprikash! John grew up eating Hungarian and German dishes. His Grandma Betty often cooked large family meals consisting of bean soup, chicken paprikash, stuffed cabbage, and of course, her own spaetzle recipe. As an adult, he tried to recreate some of his favorites but never could make them the same. After I had become more skilled in the kitchen, I decided to try my luck at some of John’s favorites. I remember looking through several recipes on the internet and comparing them with Grandma Betty’s notes and recipes. All in all, things were similar, but it seemed John was not following the directions properly. He’s an efficient cook, but that can lead to mistakes. Over the last few years, he’s learned to slow down and all of recipes have improved as result. 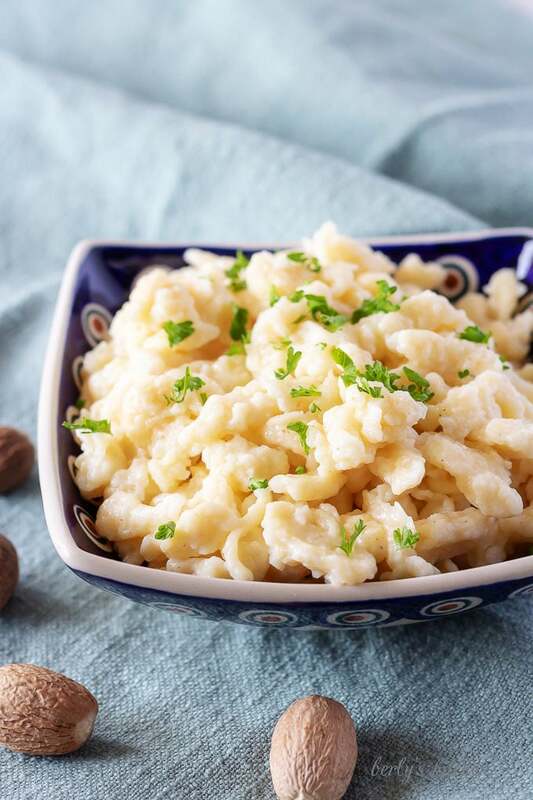 Enough about all that, how about we get to the reason you’re here; the easy spaetzle recipe! First, bring a large pot of water to a rolling boil. I like to add a tablespoon of salt to mine for flavor. 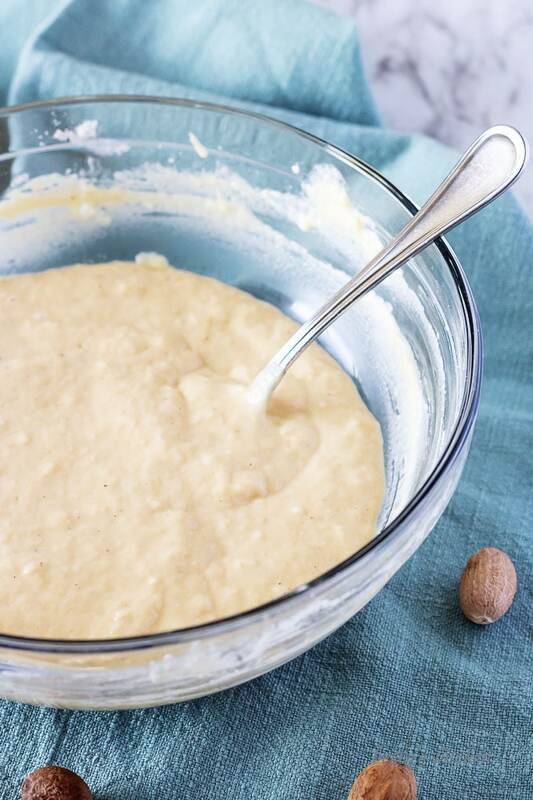 Next, while you wait for the water to boil, make the batter. 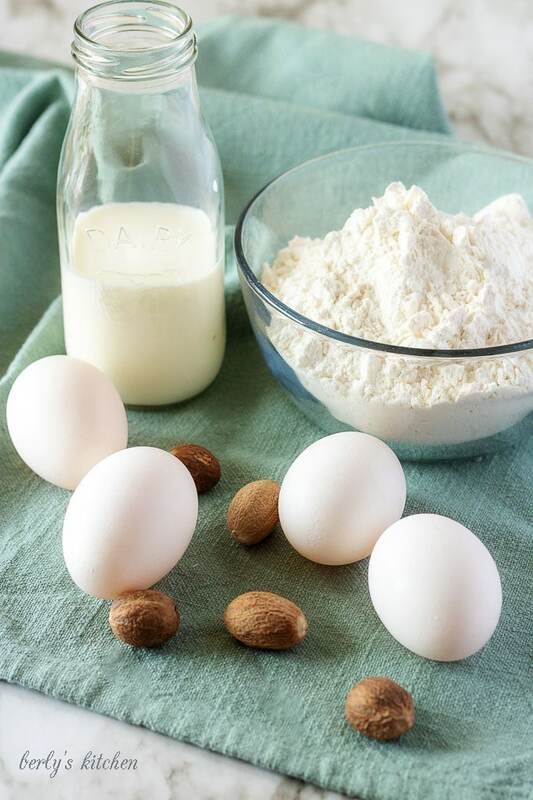 In a medium bowl, combine flour, eggs, milk, salt, and nutmeg. The mixture will be very sticky. After that, place the spaetzle maker over the pot of boiling water. Carefully fill the open compartment on the top with a few spoons of batter, but don’t overfill the pot. Then, slowly push the chamber back and forth across the grate to press the mixture into the holes. As the mixture falls into the boiling water, it will sink. Once the batter floats to the top of the water, it is cooked. It will appear puffy and larger in size. This process takes less than 30 seconds. Afterward, remove the spaetzle maker from the pot and using a slotted spoon, scoop the cooked spaetzle out of the water. Last, place cooked spaetzle in a large bowl. Repeat the process until batter is gone. After all the spaetzle is cooked, toss with butter. That’s it! You have a simple, easy to make, comfort food. It can be eaten alone, with chicken, beef, or even as a side for a hearty beer and brats dinner. Chicken paprikash was the first recipe of Grandma Betty’s that I attempted to make. To my amazement, John and Kale both loved it. It’s one of their favorite recipes using spaetzle noodles. If you don’t have a spaetzle maker, you can use the back side of a cheese grater and push the batter through with a wooden spoon. This method tends to take a little longer and is a bit messier but is still effective. That’s how John’s Grandmother made it for him. I’ve since purchased a Danesco Stainless Steel Spaetzle Maker. Now I can make an entire batch of these awesome little dumplings in less than 15 minutes and with minimal mess. You can toss the spaetzle with margarine or another butter replacement for that extra kick of flavor. If you like this spaetzle recipe, please leave us a comment and rate the recipe card. You can also find us on Facebook, Pinterest, Twitter and Instagram searching for Berly’s Kitchen! 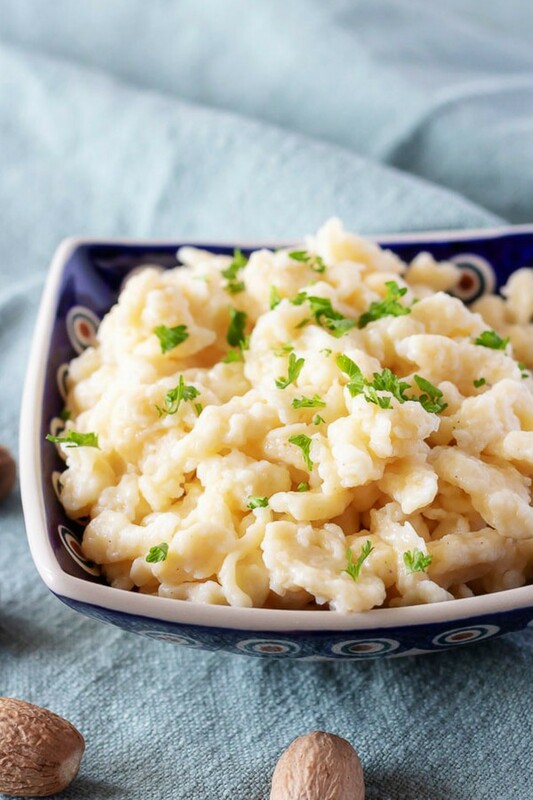 A homemade spaetzle recipe based on a Grandmother's recipe that was handed down through two generations of children. It's perfect for Chicken Paprikash! 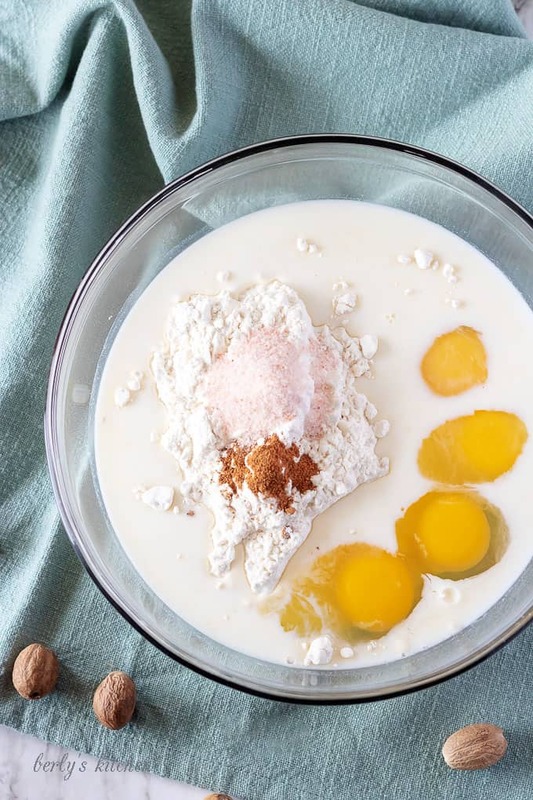 Mix all ingredients in a medium bowl until well combined. The batter will be very sticky. Using a spaetzle maker, slowly drop batter into a pot of boiling water. The mixture will initially sink to the bottom, but when it floats it is thoroughly cooked. Using a slotted spoon, remove the cooked spaetzle from the pot. Place cooked spaetzle in a large bowl. Repeat process until all the batter is used. Add butter to taste to the cooked spaetzle. 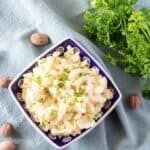 I’ve never tried spaetzle before but it sounds like something I would like! It sounds delicious! This is comfort food at it’s finest. Looks fantastic and that tool sure makes it easy to make. That’s lovely! Spaetzle is something I’ve always wanted to try – just hadn’t gotten to it. This post is definitely inspiring me! Mmm I love spaetzle! We make it all the time with spinach in the mix. Gotta sneak in those veggies somehow! I have never heard of this but it looks delicious! I will definitely have to give this a try, sounds pretty simple to make too! Thank you, Cathy! We are glad you liked the spaetzle! I was actually sitting here the other day thinking I wanted to try and make spaetzle. What great timing. I don’t have a spaetzle maker, so I will have to make do, but I look forward to giving this a shot.